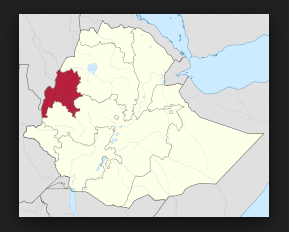 Ten people were killed in western Ethiopia when a public minibus hit a grenade in a place locally known as Tongo Gore. The tragic incident happened near a refugee camp in an area bordering the Oromo and Benishangul Gumuz regions where dozens of people were killed in ethnic violence. The report by the Ethiopian Television quoted Kemal Endris, a local administrative and security head as saying that the minibus was traveling from Asossa to Mao Komo carrying 11 passengers when it hit a grenade. Eight people died instantly while two others died in a hospital. The report said investigations were underway to determine the responsible party. Dozens of people were killed in recent weeks in ethnic violence in areas bordering the Oromo and Benishangul Gumuz regions while tens of thousands have been displaced.